#1 Thursday, October 22nd, 7:30–9:00 p.m.
#2 Thursday, November 12th, 7:30–9:00 p.m. 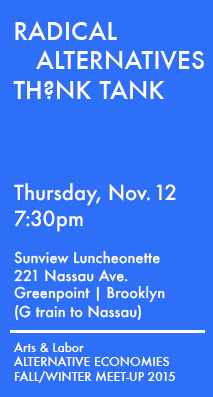 This fall and winter, Arts & Labor’s Alternative Economies Working Group will be convening at Sunview Luncheonette to discuss the cultural-political landscape in New York City. 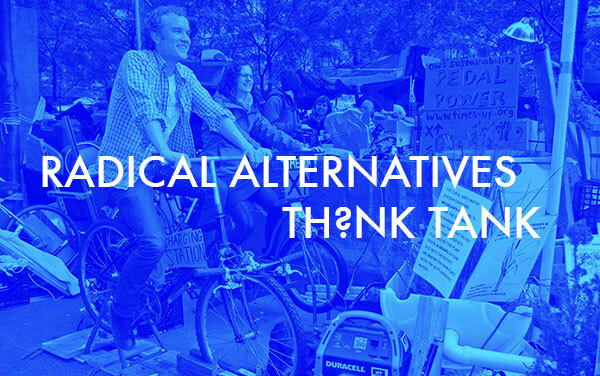 We invite artists, activists, cultural workers, community members, and anyone who is interested in joining our “think tank” and brainstorm on how we can work together to find solutions to our current situation.